With today’s economic challenges, homeowners are looking for low initial gas furnace prices as well as good efficiency in terms of fuel consumption. Those criteria make the Amana GMH8 / GDH8 Distinctions Gas Furnace a very popular choice with budget-minded consumers, especially those in warm to moderate climates where standard-efficiency heating is sufficient. Jerome in Gulfport, Mississippi was good enough to send us the Amana GMH8 / GDH8 Distinctions gas furnace price he paid recently. 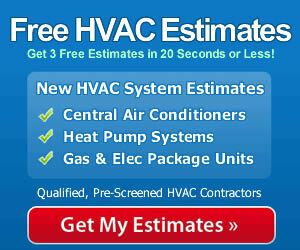 It is always helpful to receive HVAC prices that we can share with all of our readers. Comparing notes on gas furnace prices gives everyone an idea of what to expect as they pursue a good deal in their area. Here’s what Jerome had to say. “We’re like most folks these days, trying to pinch pennies where we can. When our furnace quit on us in the middle of a hot October we started looking at new models. On a fixed budget our choices were limited. The salesman at the local heating and cooling company highly recommended the Amana GMH8 / GDH8 Distinctions model and the price was great so we went with it. He broke down the bid this way. 2-stage gas valve that uses low operation to maintain heat and high to boost heat. 4-speed direct drive circulator motor that offers quiet, efficient and comfortable operation. Low constant fan switch keeps air circulating for maximum comfort in all seasons. Dual-diameter heat exchanger with an exclusive Amana patent. Limited lifetime warranty on the heat exchanger and 10-year warranty on all parts. Factory run before shipping to ensure good working condition. Homeowners on a tight budget sometimes seek to save money by installing the furnace themselves. It’s fair to say that this approach costs people money as often as it saves it. Poorly installed gas furnaces often break more easily – with no valid warranty in place, produce lower efficiency operation producing higher energy consumption, and often need to be re-installed by a professional. DIY gas furnace installation can also be dangerous if the wiring is done incorrectly or if faulty venting leads to carbon monoxide leaks. You’ll probably save money in the long run – and perhaps something much more valuable – if you have a qualified contractor handle the installation right from the start.